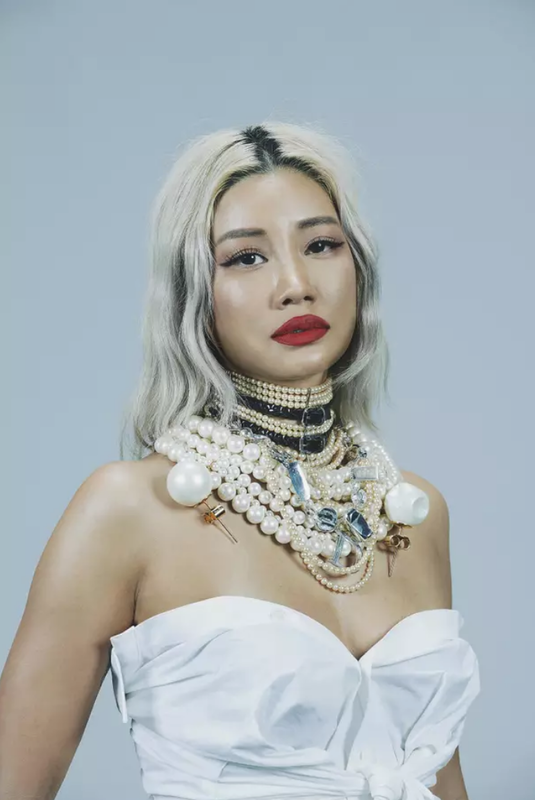 'Everything that used to be underground is mainstream,’ declares Yoon Ahn, the Korean-American jewellery designer beloved by supermodels and hip-hop megastars. ‘Times change, so high fashion has to accept it or get left behind.’ She should know. A decade back, Ahn was just a jobbing graphic designer who spent her downtime making experimental trinkets for friends. Today, that ‘passion project’ has exploded into one of the planet’s hippest streetwear brands, AMBUSH, a favourite of rappers such as A$AP Rocky, Skepta and Kanye West. Now she’s in Paris to embark on her latest challenge: heading up jewellery design for Dior Homme, the fashion house’s menswear label. She was announced in the role last month by her friend — and the label’s new creative director — Kim Jones, hence our interview venue, a precious stone’s throw from Dior HQ in Paris. ‘It’s really an honour,’ she says of the Dior appointment. ‘Kim has talked about us working together since his Louis Vuitton days, but honestly, I never thought I could come into an old couture house and make things, because I came out of nowhere. I had no training and no one behind me. In that sense, I always felt like an outsider.’ That may well be but on catwalks right now, it’s the outsiders who are taking control. From the ascendance of Virgil Abloh — another untrained disruptor turned world-dominating trendsetter — to Vuitton collaborating with Supreme, Ahn’s Dior Homme gig feels like the latest groundswell in a high fashion revolution. When we meet it’s 7pm but her body clock is approaching 2am. She’s come straight to the 8th arrondissement bar after flying in from Tokyo, looking about as un jetlagged as it is possible to look: platinum blonde hair slicked straight back like a Thin White Duke-era Bowie, pale pink T-shirt framed by a black leather jacket and ‘fanny pack’. ‘We belong to a generation of designers who grew up on skate culture and street clothes in the 1990s and 2000s, so naturally it gets manifested in our creations,’ she says. The designer’s label, called AMBUSH and named for her desire to take people by surprise, was very much born from this mentality. 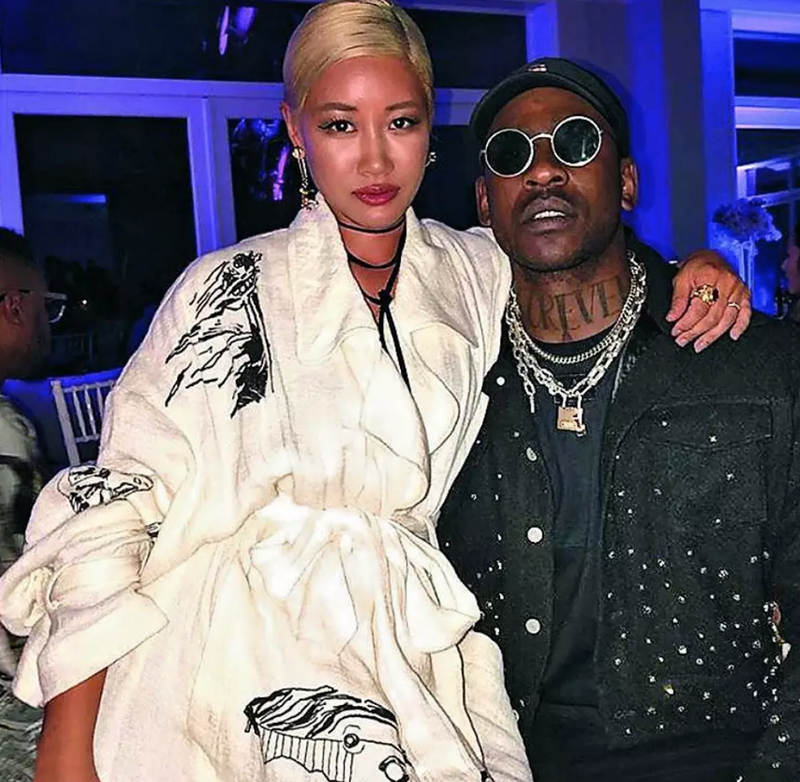 Created in the late Noughties with her husband, Verbal, one of Japan’s biggest rappers, the pair began making chains and rings purely because Verbal couldn’t find any decent jewellery to blow his royalty cheques on. Neither had any formal fashion schooling: just bags of enthusiasm and a thirst for experimentation. ‘We just wanted to prove we could do s*** no one else was doing,’ she grins, sparkling at the memory of it. ‘We went all out, making crazy, outrageous things. Fifteen-centimetre [wide] Cuban chains... A baseball cap out of bronze.’ Was it actually wearable? ‘Was it wearable...?’ She ponders this over a sip of Coke. ‘Well, yeah, if it fit your head. We didn’t make lots of different sizes...’ These eye-catching (and potentially neck-damaging) items aside, things really caught fire when they unveiled their Roy Lichtenstein-inspired ‘POW!’ rings at the turn of last decade. 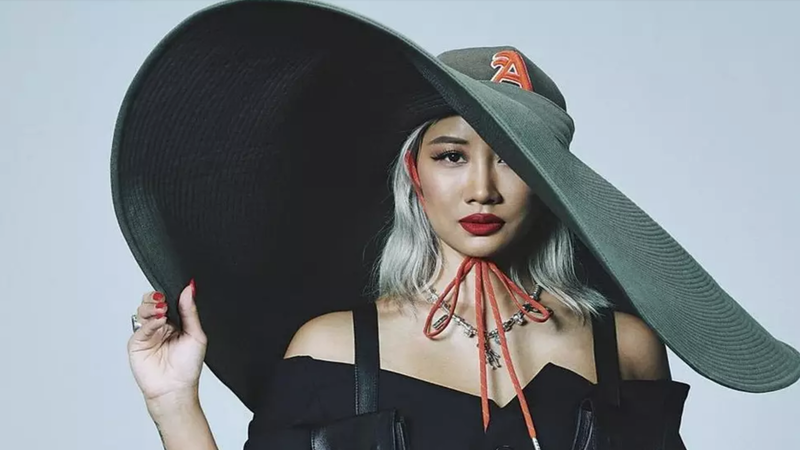 ‘We really just made them for friends,’ Ahn shrugs, but since Verbal had recently signed to Def Jam Records in the US, those friends now included the likes of Pharrell and Big Sean. Suddenly, the planet’s most style-savvy rappers who were already enthusiastically tapping in to the Tokyo street-wear scene now had an authentic, exciting Japanese jewellery brand to provide their accessories. ‘The rappers really are the rock stars of today,’ Ahn points out. ‘You had movie stars and rock stars setting trends in the past, but it’s rappers now. That’s why streetwear is bigger than ever, and it’s not fading out. Yoon was born in Seoul, South Korea, in 1970-something. ‘You can just say “Seventies”,’ she smiles. ‘I think it’s okay to keep certain things quiet...’ That vague air of mystery continues to pervade as we discuss her childhood. Her father served in the US military and when I enquire about his role she purses her pillar-box red lips and chuckles: ‘You know, I should ask him.’ Army life saw the family uprooted constantly and by the time they settled in Seattle when Ahn was a teenager, she had already lived in Korea, Hawaii and California. You can still hear these locations jostling for position in her accent. Seattle was where her ‘outsider’ mentality took shape, and despite holding US citizenship she still describes herself as an ‘alien’. At 18, she went to Boston to study graphic design where she met Verbal — then just a rap-loving marketing major. The two began dating and when Verbal suggested relocating to his hometown of Tokyo after graduation, Ahn jumped at the chance. ‘The club scene in Tokyo at that time was off the chain,’ she recalls. ‘Hip-hop, electro... Everyone was peacocking so you wore things to stand out. This was before Instagram, so if you wanted to see what a scene was like, you had to go to the clubs. My hair was a different colour every few weeks, I was customising clothes with studs, making jewellery from found objects. Mixing things up.’ Today Ahn’s inexhaustible work ethic allows for far less after-hours ‘peacocking’. Rare downtime is spent at home in Tokyo with Verbal and their two cats, or indulging a burgeoning Korean gangster film obsession (‘You can learn a lot from Mafia movies...’). That said, the mix-and-match ideology she learned in the clubs is still on display: her just-off-the-plane ensemble includes a silver Rolex, custom diamond earrings and AMBUSH ball-chain choker. The idea of exploring fresh territory is clearly still what powers the designer’s engine at AMBUSH (‘We’re making down jackets for the first time,’ she gushes, excitedly). As our time together draws to a close, though, I wonder: how will her playful, explosive spirit fit in at Dior? She nudges her suitcase, which contains the first ideas she’ll be presenting to Jones tomorrow, ahead of her collection’s debut at Paris Men’s Fashion Week in June. ‘Dior’s a heritage brand,’ she explains, ‘so you have to keep the DNA going, but refine it.